I know exactly what you’re thinking right now. Why is Mike Mitchell talking about beating the New England Patriots when they have to play the Jacksonville Jaguars first? We should also mention that the Jags beat the Steelers in their house already, after Ben Roethlisberger threw five interceptions during his worst game of his career. Just maybe the team saw QB Blake Bortles‘ performance against the Buffalo Bills, and it has them feeling like this divisional round game is about to be a breeze. 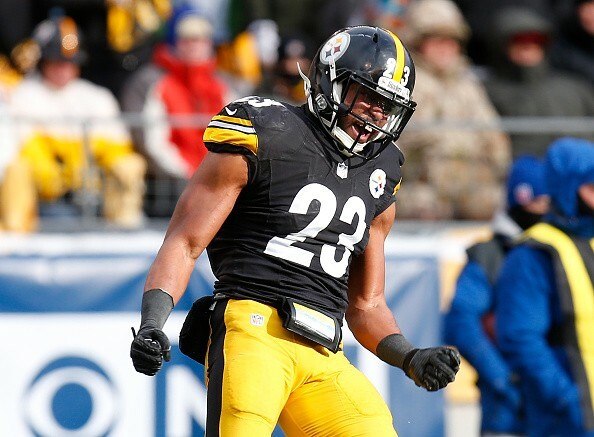 Nevertheless, the Steelers safety is looking past the Jags and disrespecting the Tennessee Titans at the same time when he stated boldly that his team will get a victory over the Pats in the AFC Championship game. “We’re going to play [the Patriots] again. We can play them in hell, we can play them in Haiti, we can play them in New England. … We’re gonna win,” he told The MMQB’s Greg Bishop. The two squads met in Week 15, with the Pats winning 27-24 in controversial fashion after tight end Jesse James initially appeared to catch the go-ahead touchdown in the waning seconds, only to have it overturned. That led to a game-ending interception from Roethlisberger, who failed to trick the Pats with his fake spike.